Clint Eastwood understands the cultural zeitgeist better than just about any Hollywood star. His “Dirty Harry” films arrived when the public had had enough of unchecked crime. Eastwood delivered “Unforgiven” just when we were ready to deconstruct the western genre. You don’t stay a star for more than five decades without understanding the culture at large. Yet “Sully” defies our current age. The true story of a pilot’s miraculous landing on the Hudson River is everything we’re not seeing in headlines today. Heroism. Unity. A man taking responsibility for his own actions. No safe spaces or micro-aggressions, thank you. It’s like Eastwood innately knew this is the movie we need right now. And the director delivered much more than that. It’s one of his finest films, a beautifully calibrated tale a hero who was just doing his job. 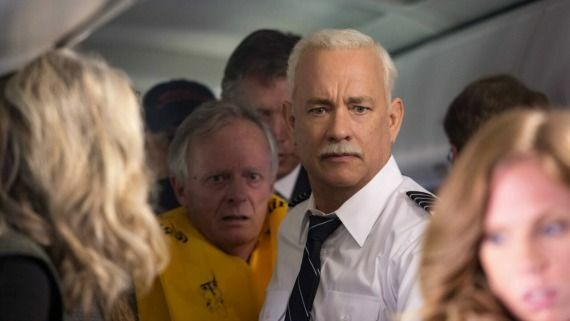 Tom Hanks is Chesley “Sully” Sullenberger, a veteran pilot forced to improvise when both engines on his US Airways plane fizzle mid-flight. We all know what happened next. Sully landed the plane on the Hudson River, saving the lives of the 155 “souls” on board. 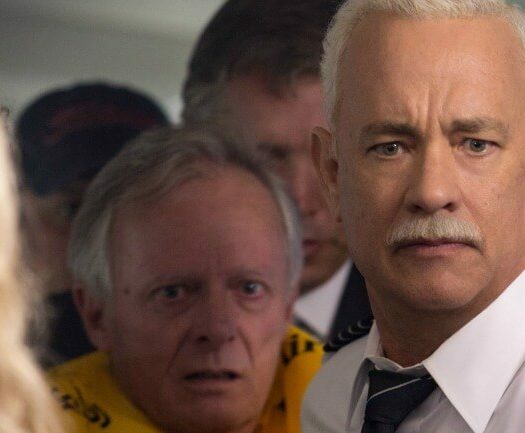 What “Sully” does is reveal that story in ways we don’t expect. The narrative isn’t linear by any stretch. Yet it moves forward as if gliding on oil-slicked wheels. We see a pilot tortured by what could have gone wrong. He’s more uncomfortable getting grilled by Katie Couric than maneuvering a plane onto a watery landing strip. And then the investigators take over. Personified by Mike O’Malley, Jamey Sheridan and Anna Gunn, the NTSB grills Sully about the incident. Did he do all he could that day? Was landing on the Hudson really his only choice? The questions aren’t inconsequential. His professional future is at stake. So is his pride. Sully leans on his co-pilot (Aaron Eckhart) while connecting to his wife (Laura Linney), still at home waiting for her husband’s return. The latter could use a spit polish. Linney is terrific as always, but we don’t get a sense of their marriage in a way that would have raised the stakes even higher. Hanks, his dark hair turned white, inhabits Sully so instinctively we can’t see the Movie Star peering out. It’s not a flashy turn. You don’t watch the performance and pick out that “Oscar clip” sequence. It’s relaxed and real, a portrait so finely attuned we never see the brush strokes. 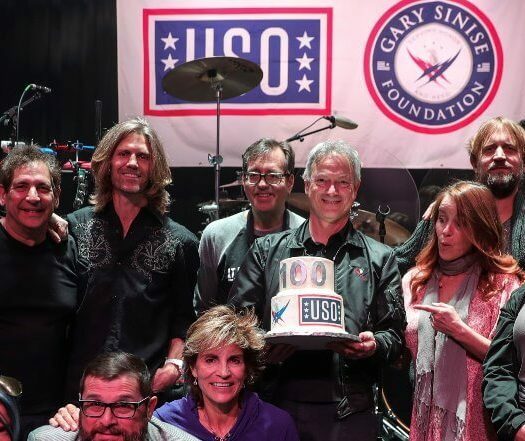 FAST FACT: Chesley “Sully” Sullenberger flew F-4 Phantom II jets as a fighter pilot in the Vietnam War. Eastwood’s Hollywood legacy speaks for itself. What we hear less often are his nagging flaws as a storyteller. He’s a sap at times, a weakness which appears in many of his films. That populist streak simply gets the better of him. He reigns that in with “Sully.” The story could have gotten too rah-rah at any moment. You’d almost forgive screenwriter Todd Komarnicki for penning a speech or two at critical points. Instead, the film lets the visuals do the talking. Watch the frosty breath of the passengers as they leave the doomed plane. See Sully check the plane one last time before exiting, understanding how it’s the captain’s duty to look after every single person on the plane. You can’t write those moments. “Sully” dutifully captures what we watched on the news back in 2009. And then it goes beyond the clips. We see the plane’s passengers huddling for warmth after leaving the plane. The landing happened in January, and the Hudson’s chilly waters proved a very real threat to them. We also see how Sully dealt with his sudden fame. It felt alien to him, even if he greeted well wishers with as much warmth as he could muster. “Sully” dutifully recreates the now-iconic “Miracle on the Hudson” moment. It’s what audiences demand in a movie like this. It doesn’t disappoint. Yet Eastwood and co. aren’t quite finished with that impossible landing. That sets up a satisfying third act that connects effortlessly to the end-credit reveal. Stick around. You won’t want to miss it. HiT or Miss: Inspiring down to the final frames, “Sully” is worthy of both its subject matter and this great nation.